Browse home office desks at great value prices. 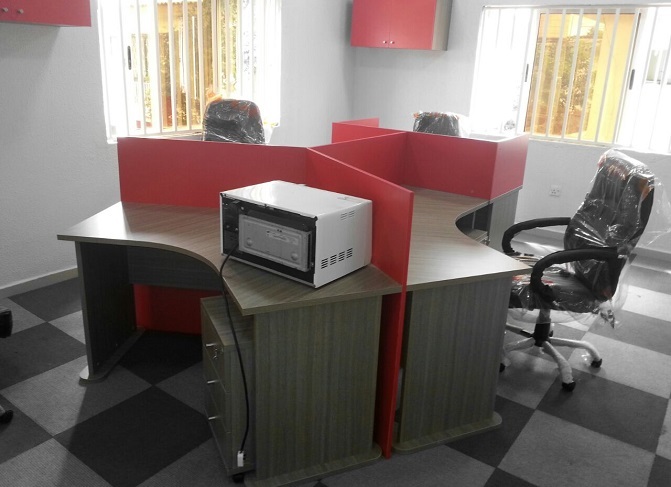 A 4 Seater Cubicle Workstation Table with mobile drawers and storages on top. Delivery in Lagos & Nigeria. This piece of office workstation is made in a way to save office space. It makes work easier and faster and the mobile drawers can be moved to any side that is convenient.